NOW is the best time to rent in Brisbane with the city fast becoming a renter’s paradise, according to the latest REA Group Property Demand Index. While southern capitals saw record rental demand in March, Brisbane’s housing oversupply has seen it become a renter’s paradise with the number of tenants unable to keep up with the growth in homes available for rent. Among the freebies being thrown in by owners to sweeten the deal for potential tenants were one to four weeks worth of free rent in some properties with others offering things like free gym membership. The Index named Queensland as “the country’s most concerning market” after buyer demand declined slightly over the month (-0.2 per cent for all dwellings) but there was “a larger drop in rental demand on realestate.com.au” (-1.7 per cent). Somewhat surprisingly given the publicity surrounding the supply of units in the market, the rent index for houses saw a higher drop in Queensland (-1.8 per cent) than units (-1.5 per cent). 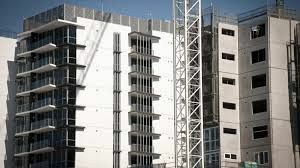 “Brisbane in particular is seeing high levels of development and dropping rental demand suggests that the market in Queensland will continue to take some time to absorb the supply,” the report said. Nerida Conisbee, REA Group Chief Economist said cooling measures pushed through by APRA and banks continuing to increase rates independently of the RBA had so far failed to stem skyrocketing prices in Sydney and Melbourne. She said there was yet to be any impact on consumer demand for property on realestate.com.au.